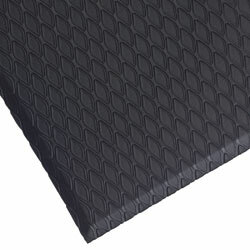 Enhance comfort and productivity with these Anti-Fatigue industrial - are available in a wide range of sizes, weights and materials. 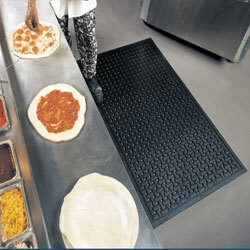 Commercial kitchen mats and restaurant mats allow liquids to pass through them to eliminate slip hazards while providing Anti-Fatigue properties. 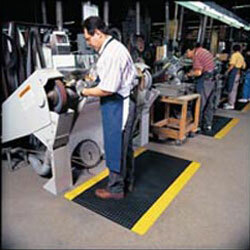 Slip resistant mats and rubber safety mats help provide safe working areas for employees and visitors to facilities and can be used inside or outside.